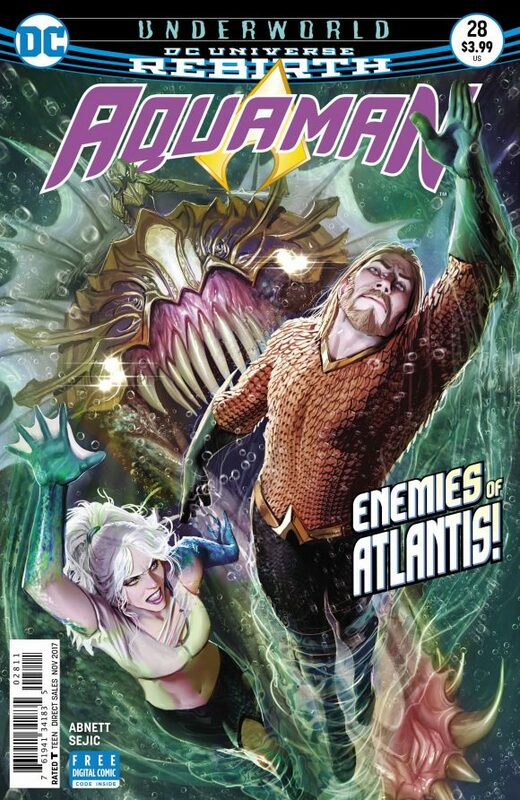 Aquaman #28, DC. This is the best comic book I’m reading right now. Dan Abnett and Stjepan Sejic are doing stellar work. For a SNEAK PEEK at the issue, click here. You’ll be glad you did. Gorgeous. Bug! #4, DC. Y’know, a lot of people forget that Deadman floated his way into Kirby’s Fourth World stories. The Allreds didn’t forget: Boston Brand makes an appearance this issue. 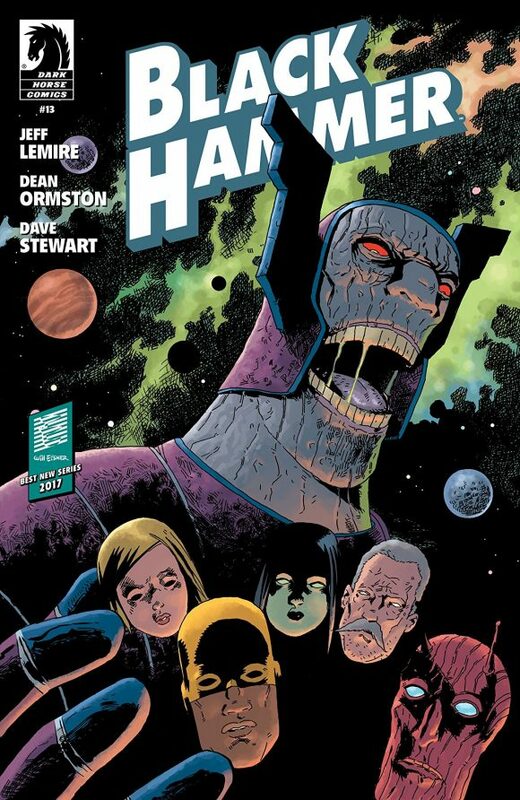 Black Hammer #13, Dark Horse. Are you reading Jeff Lemire, Dean Ormston and Dave Stewart’s Eisner-winning riff on superhero tropes? You ought to. 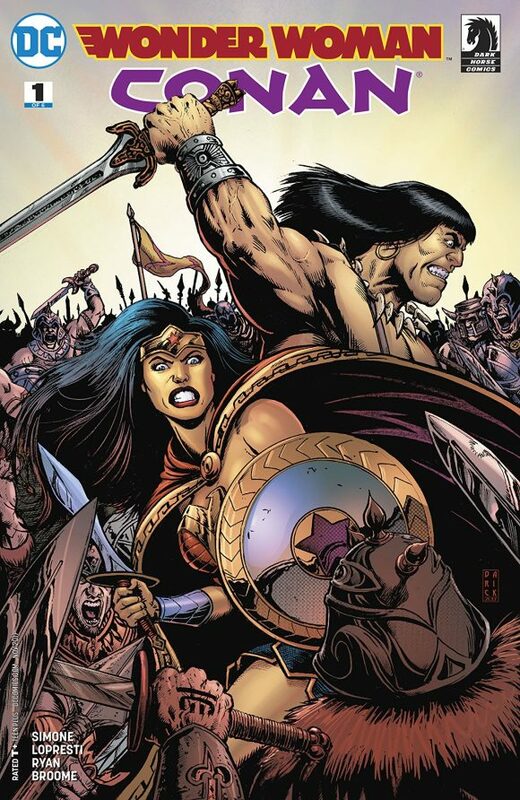 Wonder Woman/Conan #1, DC/Dark Horse. How did this sneak past my radar? I’m not sure Themyscira and Cimmeria were ever on the same map, but I’m intrigued. By Gail Simone, Aaron Lopresti and Matt Ryan. 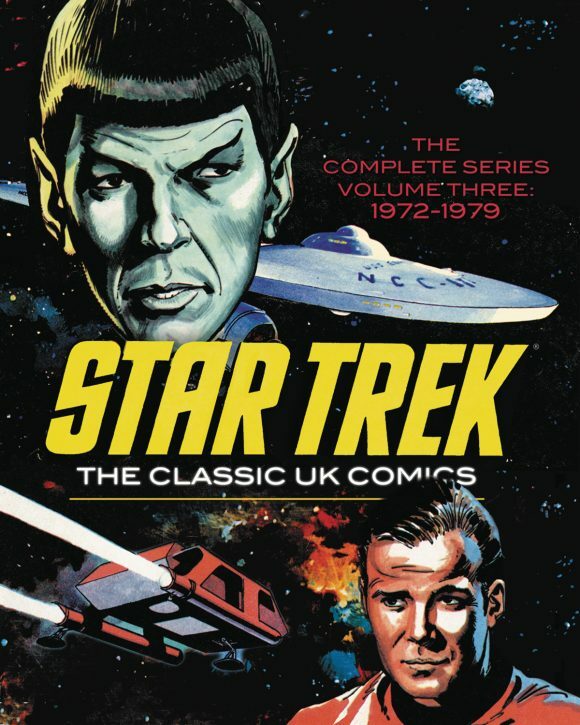 Star Trek Classic UK Comics Vol. 3 HC, IDW Publishing. These British Trek comics are fascinating and rarely seen on this side of the pond. Historian Rich Handley has been providing some good context. Definitely worth a look. 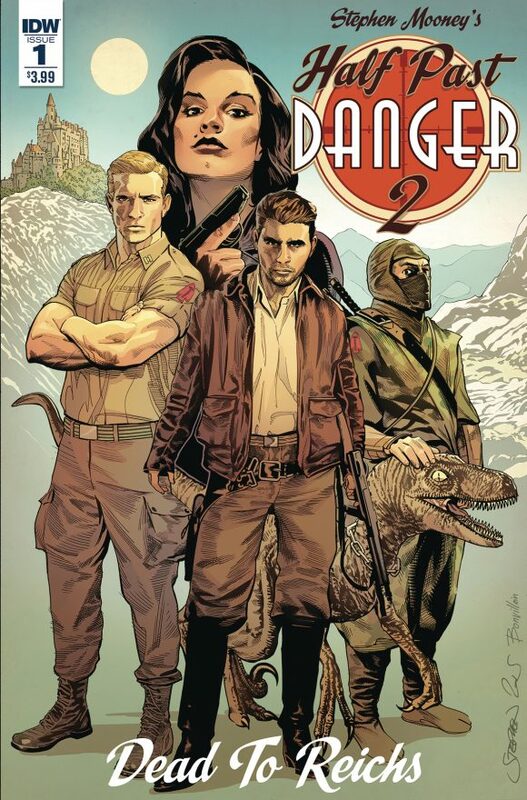 Half Past Danger 2: Dead To Reichs #1, IDW Publishing. I really enjoyed writer/artist Stephen Mooney’s first go-round with Half Past Danger a couple years back; glad to see it make a return.